Get ready to fly with the QSC KLA181. This active line array subwoofer puts you in control of your live sound, giving you some DEEP ways to tailor your sound to the venue. 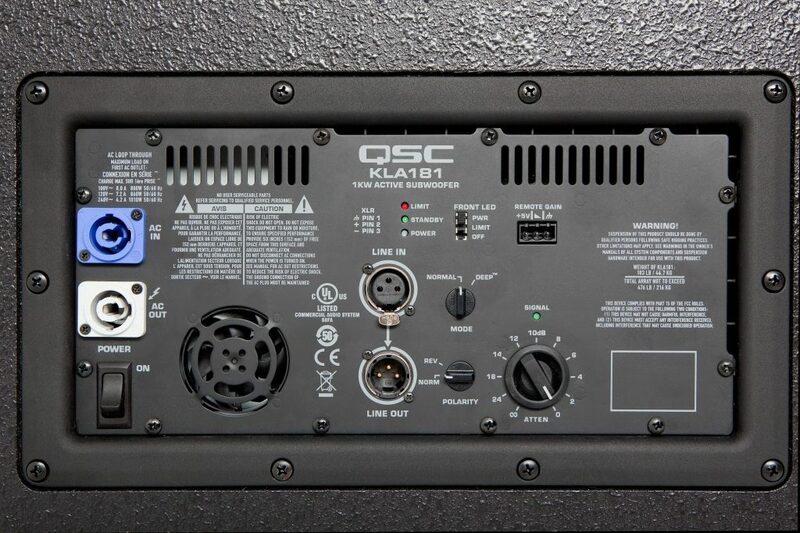 When the KLA181 pushes its 1,000 Watts of Class-D power into the crowd, it draws upon QSC's DEEP DSP algorithm, its efficient power amp module, and GuardRail peak protection technology to deliver deeply smooth, extended bass response. Best of all, the KLA181 is easy to incorporate into your line array; just lift, click, and play. At a glance, this 18-inch, direct radiating sub features the DEEP DSP algorithm, GuardRail, Auto Standby mode, balanced line-level XLR input with an XLR thru connector, Attenuation Control, LED indicators, and a handy polarity switch for low-frequency directivity control. To match the other powerful models in QSC's KLA Series of speakers, the KLA181 offers an efficient Class-D power amp module in a 1,000 Watt configuration that enables up to 5 KLA models to be driven off of a single 15 Amp, 120V electrical circuit. Sound good? Increased bass response comes courtesy of the DEEP DSP algorithm, accessible by a rear-panel switch. In DEEP mode, each KLA181 actively manages potentially damaging low-frequency transients, making efficient use of your 1000 Watts. GuardRail circuitry protection keeps the amplifier module in check, preventing destructive clipping from killing a show. No worries if there's a lull in between sets or you simply forget to power down the unit -- the subwoofer automatically goes into Auto Standby mode after five minutes of inactivity. It stands by until the audio starts up again, at which point the KLA181 wakes up for immediate output. Ideal for a variety of portable and permanently installed applications, from live entertainment to houses of worship, QSC's KLA181 can be flown with M10 fittings or the optional KLA AF12 array frame. You can hang up to 480 pounds, with a maximum 2 KLA181 enclosures, in an array. Thanks to its integrated threaded pole mount, the subwoofer can also serve as the base for up to two KLA12 enclosures. For your convenience, the KLA181 provides both a balanced line-level XLR thru jack and a locking AC power through jack for daisy chaining multiple KLA Series loudspeakers. All units are housed in impact-resistant ABS enclosures. 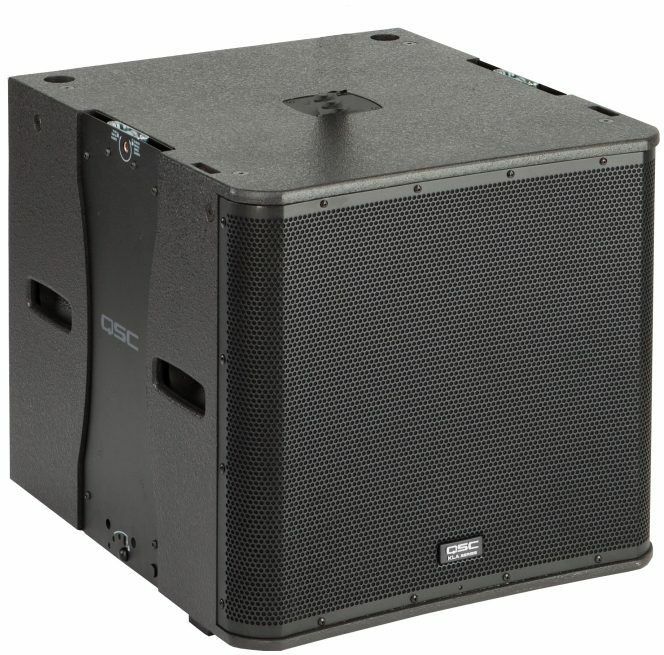 The QSC KLA181 line array subwoofer offers serious low-end power for any performance. Add it to your live rig and enjoy the show.